Detached holiday home for sole use with pool, barbecue house and sea view. Our well equipped holiday home is surrounded by a natural stone wall with a lockable gate. Parking in the yard. The house has 2 bedrooms, a kitchen / dining room, living room and a large bathroom. Next to the house is a covered barbecue grill with seating. Behind the house is the pool. Directly behind the house a forest path to the sea. A very good restaurant, "Konoba Postaric", is located 300 meters away. The bathroom is equipped with shower / shower cubicle, toilet, vanity and washing machine and bathroom cabinet. The perfect house to relax, a little jewel. The perfect house for our holidays. Enough space, clean and with all facillities; dishwasher, air-conditioning, W-LAN. It´s very romantic, our own pool, with flower surroudings, You can make a barbeque, even by "bad" wheather. It is close to the sea and close to a good restaurant, You don´t even need a car. We will surely come again. 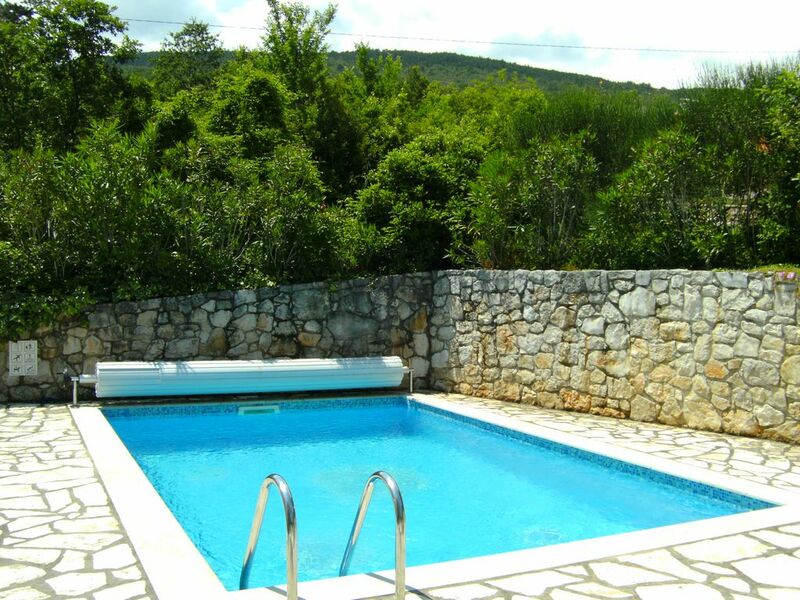 The owners of the house are very kind and helpfull, they give us a lot of information about attractions in all Istria. Vielen herzlichen Dank für Ihre positive Bewertung unseres Hauses. in Ihrem zweiten "Zuhause" fühlen. Belle piscine, belle maison... Belles vacances. Je recommande. Merci beaucoup de votre recommends! unser Haus Drenje ( "La Gioia" - Drenje). den Urlaub unseren Gästen zu einem Erfolg zu machen. Fragen Sie doch mal unverbindlich bei uns an!